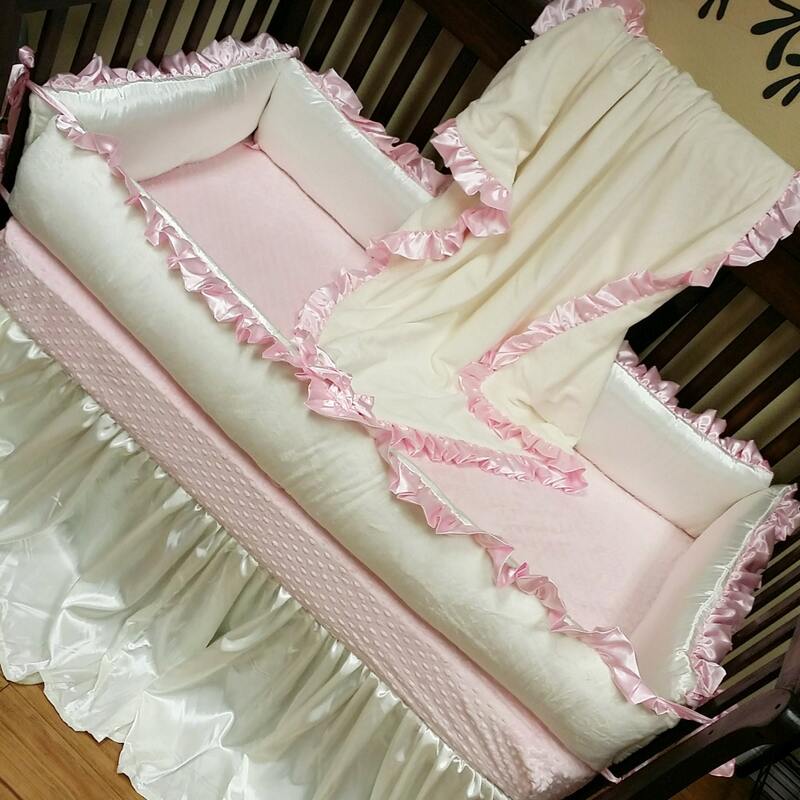 Jumbo, Crib BOW accents. Bedding not included. 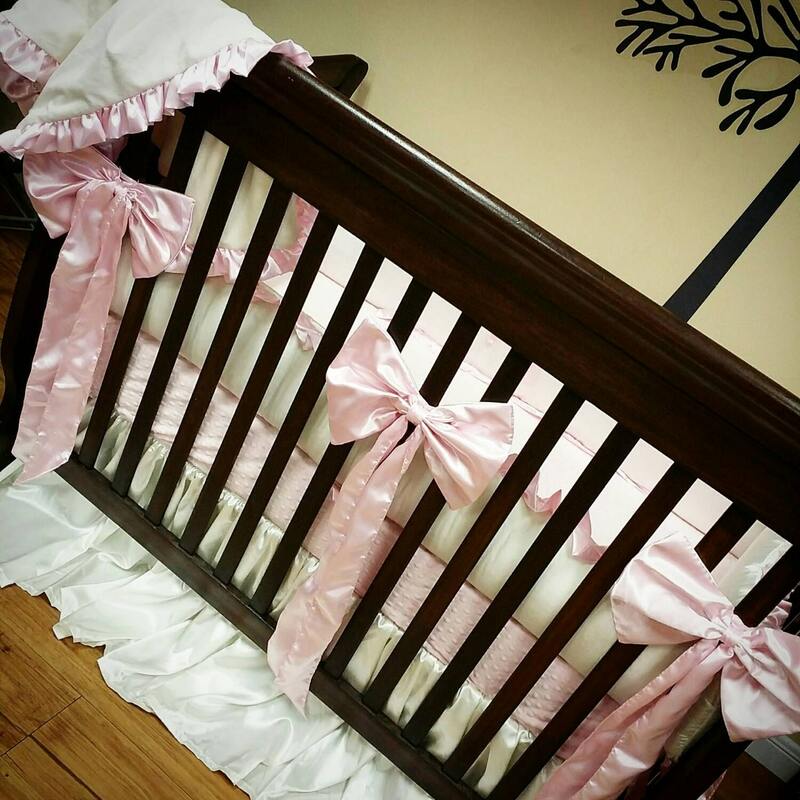 This listing is for the jumbo crib bow attachments for your front crib rail. Ties on bumper for deluxe sets are 5" wide and 36" long typically. 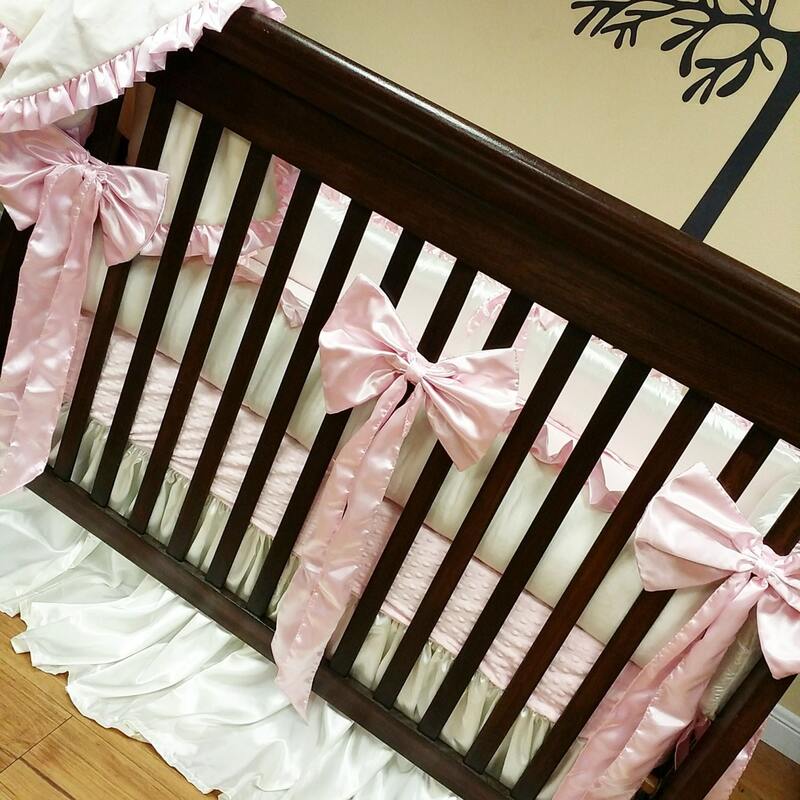 These Velcro strap crib rail attachments are used to create that jumbo bow luxurious look. These can be made in any fabric to match your bedding. This listing is for 1(ONE) bow. The Velcro was too big for the crib rails so I had to use a safety pin to keep in place. Super cute and great quality.